Since living here I definitely eat less of it than home, but I LOVE cooking with it. Recently when I was eating some take out with my family, Mika asked me to read him his message from the fortune cookie, and it reminded me of these amazeballs. Literally, they are balls and they are amazing. 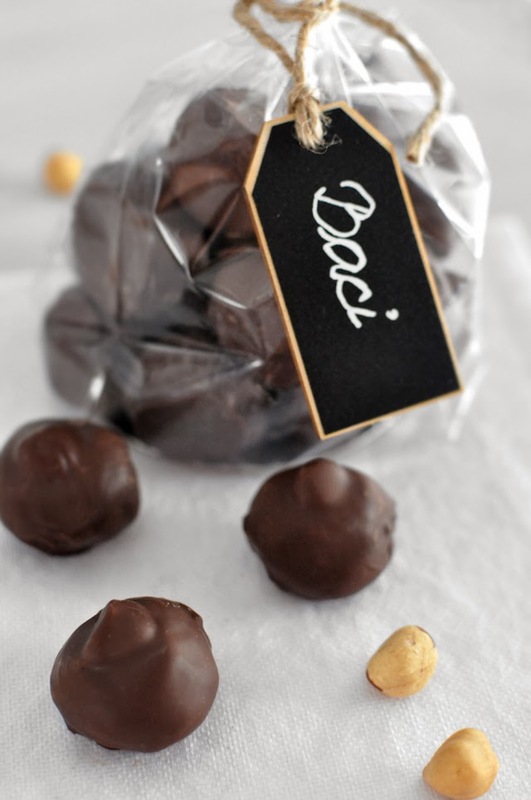 Baci. Now you can buy them pretty much everywhere, specially in the deli's around the country, but 20 years ago when I was still home, the only place you could get them was Italy. And it was such a treat. Then I didn't think what it was made from, I just knew they were delicious and they had a message in them, so super extra uber more better than any other chocolate I could get back home. I've been thinking what treat to make for Valentine's Day, and it seemed perfect. I found lots of recipes and tried out three ( I know, but lucky for you, I found the best one so you only need one!) before settling on this one. They are just perfect. they come together in no time, they are fun to do and everyone who tried them so far loved them. I made five batches already. Ha! Amazeballs, I tell ya. 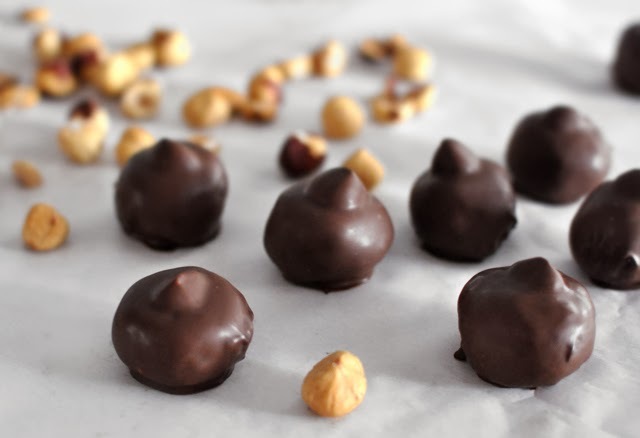 If you didn't already buy roasted hazelnuts, you can do it easily home by baking them in the oven on 350 degrees for 8 to 10 minutes. Just watch them so they don't burn, when you can smell them they are done. It makes a huge difference, trust me. Take 20 to 25 whole hazelnuts and reserve them for later and chop the rest of them into small pieces. 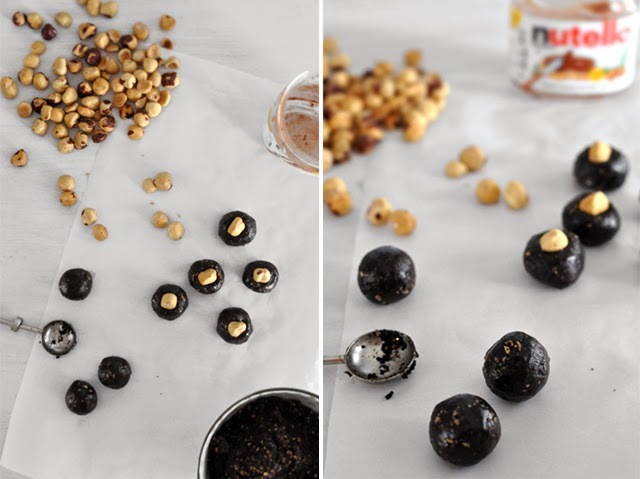 Place hazelnuts in a bowl with Nutella and cocoa powder. Mix well until incorporated in an even mass, I just did it with a spoon. Form 20 to 25 balls and place them on a side. 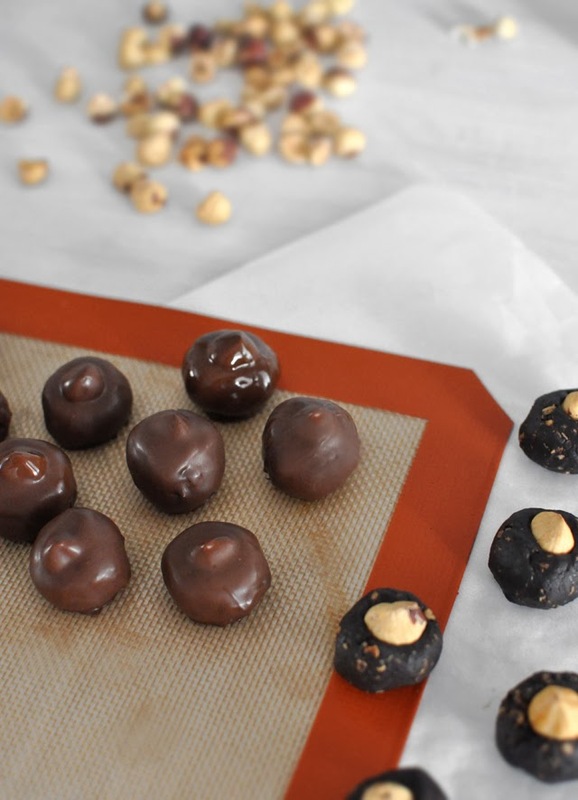 Put a whole hazelnut in the top middle of every ball. Place the balls in the fridge for about 30 minutes. 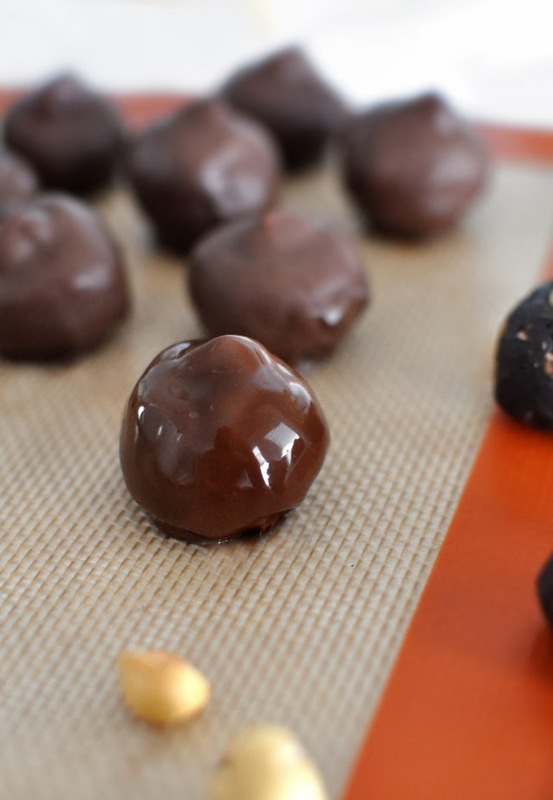 Melt the chocolate in the microwave, stirring every 30 seconds so it doesn't burn, or use a double boiler. 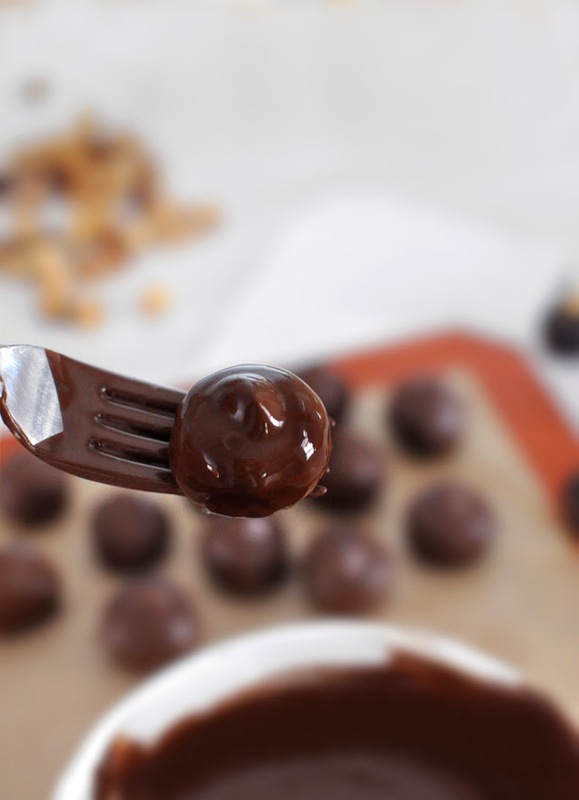 Dip each ball into melted chocolate, using two small forks (if you don't have that fancy chocolate dipper), then place them on a lined cookie sheet or even better a silpat mat. I learned with these to tap the fork a little bit on the bowl where melted chocolate is in, to get rid of some excess chocolate on Baci, too much is no good, and it doesn't dry very pretty either. Let them sit and dry for a few minutes before transferring to a fridge for at least 30 minutes if you are packing them. These are good and by good I mean fawesome, and by fawesome I mean freaking awesome. Double the recipe, use a whole jar of Nutella, trust me.